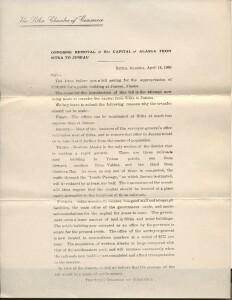 In May of 2015 the Alaska Legislature defied Governor Walker by moving its sessions from the State’s capital to Anchorage, prompting the Governor to declare that, “as long as I’m governor, the capital of the state will be Juneau…” A long list of ballot measures since statehood in 1959 detail the ongoing efforts by some to move the capital west, but contention over the location of the capital dates even further back. 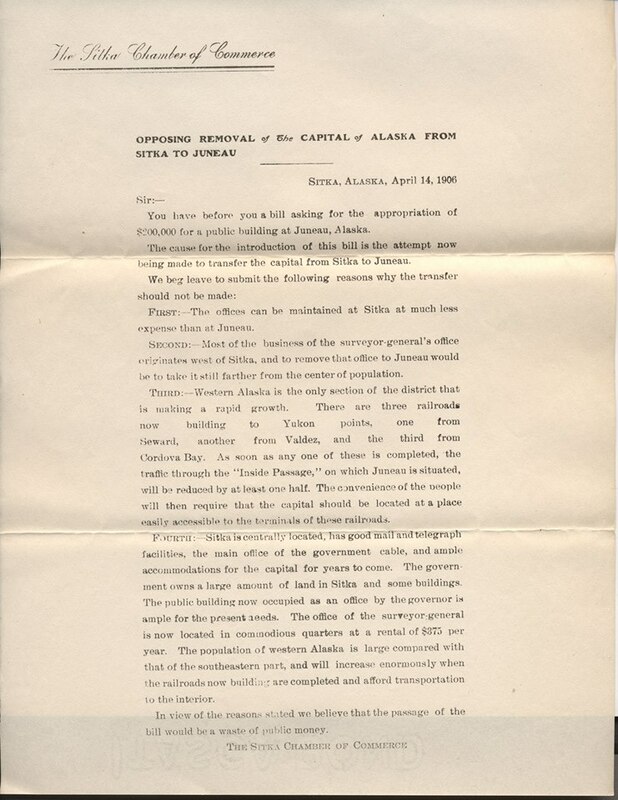 This 1906 letter from the Sitka Chamber of Commerce opposes the removal of the capital from Sitka and foretells the decades of debate to come over the location of Alaska’s state capital. Click here to read the letter.